How do you make flying geese? It seems everyone has their favorite method. It's one of those things that you will just have to try the various methods and choose your favorite. I always get confused about which is the sky and which is the goose. I finally printed this and put it on my wall next to my cutting table. My favorite is Eleanor Burns Quilt in a Day method. They are always perfect and accurate and have very little waste. You do have to invest in her rulers but you know how I feel about gadgets. I love them and I actually use these! I have all of her sizes from the itty bitty one to the huge giant one. If you like gadgets then you might try this method. It's a specialty ruler from Deb Tucker at Studio 180. 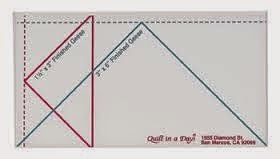 I haven't personally used this method but I did watch her demo it at Quilt Market a couple of years ago. I think I would probably like this method too as it has little waste and is squared up so that the unit is perfect. 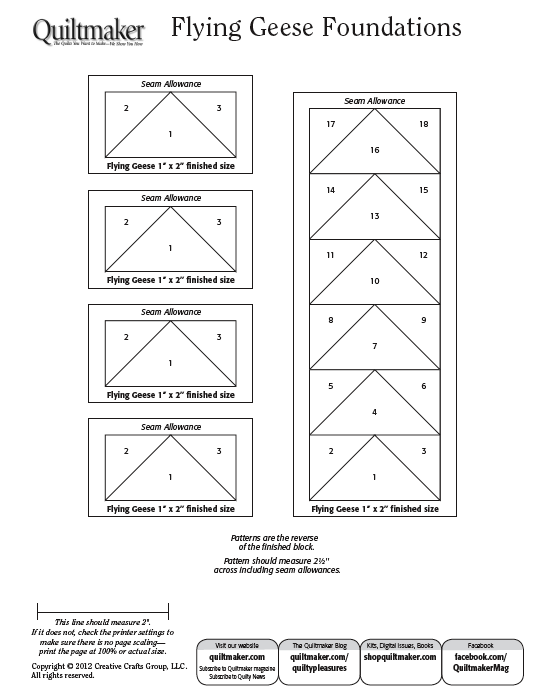 This method has a pdf file you can download and print. I like that! I have never used this method though. It looks simple and there is no waste. This method is what I call a "stitch and flip" method. It's not my favorite but it's probably the most frequently seen method in patterns. 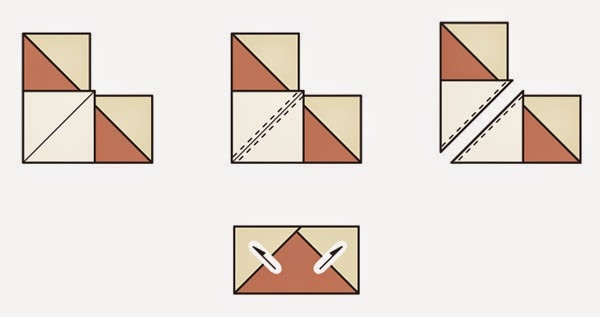 There is some waste with this method but there is no "square up" necessary... if you sew them accurately! Yet another method is demo-ed here. Again I've used this but it's not my favorite either. There is no waste with this one though and a good number of patterns use this method too. 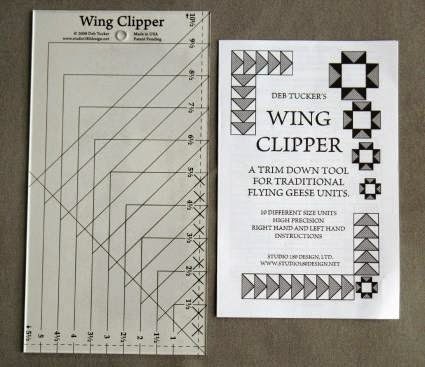 If you're a paper piecing lover, then you'll like this method of making flying geese. Personally I'm not that big of a fan. I love the perfect finish but I hate removing the paper and the mess it makes. I make enough messes on my own without intentionally making a mess with paper! I have used this method but it's my last resort! There are several other methods and rulers to make flying geese. Again, find the one that works for you and fly with it! Thank you for putting all of these techniques in one spot as a great reminder for us! 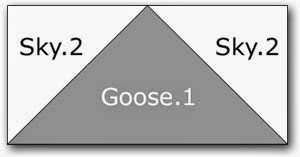 I use the star and geese ruler, there are so many great methods out there!